Ron Wyatt is a photographer who worked professionally for Sport Illustrated, photographed two Olympic Games and has photographed the Russian Ballet. He recently dropped his Nikon DSLRs for Sony mirrorless. He sits down with The Fotobug to explain why! In recent photo news, Nikon announced strong sales and restructuring are paying off and reported an 8x increase in profits despite a slight dip in revenue. The DJI image of the Phantom Pro 5 turns out to be a custom built Phantom Pro 4. Sony has announced a 3-year plan to invest $9 billion in image sensors and aims to be the top camera brand by 2021. Skylum has teamed with Photolemur to create Skylum AI to work on AI-powered image solutions. Finally Shutterbug is shutting down its print publication and will focus on a web-only publication. Check out the podcast for full details! 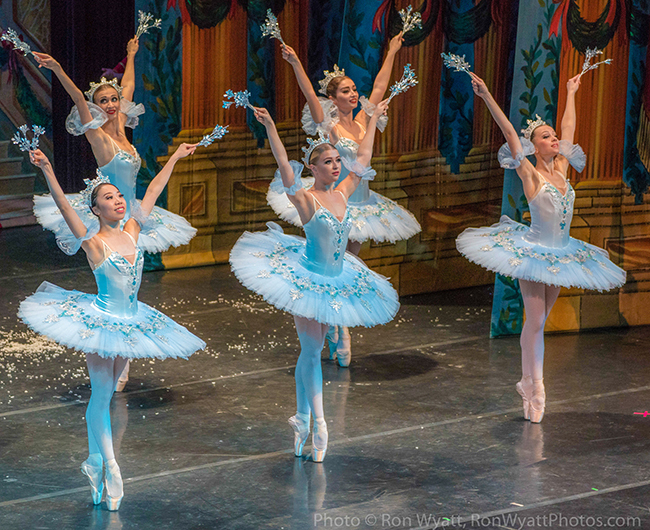 To be asked to photograph the Russian Ballet company performances is quite an honor - but Ron Wyatt discovered that the rapid fire noise from his Nikon DSLR cameras were not appreciated by the company or audience. Searching for a solution, Sony offered to let him try their mirrorless cameras, which can be completely silent! In this episode, Ron talks about switching from his Nikon cameras to the Sony mirrorless system. It isn't easy to change to a new camera system, and Ron discusses how he went about familiiarizing himself with the new system. Please check out the new Fotobug YouTube channel and please consider subscribing as we have plans for lots of great photo-based videos! Jim and Fred have spent the last couple months working with the new Mavic Air from DJI and are now ready to reveal their opinions! In recent news, Rollei has revived its iconic Rolleiflex twin lens reflex lineup with the new Rolleiflex Instant Kamera. Rollei will shortly seek funding for the nwe camera on Kickstarter. The winner of the Environment category of the prestigious Wildlife Photographer of the Year competition has been disqualified after the competition’s organizers discovered the anteater starring in the dramatic nighttime image is actually stuffed. led for Chapter 11 bankruptcy protection, but says the move 'will not affect customers.' In fact, DxO teased updates to the Nik Software Collection and DxO PhotoLab in the same press release. The hotel chain Days Inn is looking for a photographer who wants to spend one month this summer shooting sunsets all over the United States. The gig pays $10,000, covers all travel expenses, and more. A man in India was mauled to death by an injured bear when he attempted to take a selfie with it. Even worse - The Hindustan Times also reported the bystanders "were busy shooting the incident on their mobile phones instead of trying to rescue him." DJI has released a new(ish) drone: the Phantom 4 Pro V2.0. The updated P4P features almost all of the same internal specs of the original, but integrates a new high-res low-latency 'OcuSync' transmission system and decreases flight noise by 60%. Jim has been building UAVs (drones) for many years and these drones have been featured on past episodes. 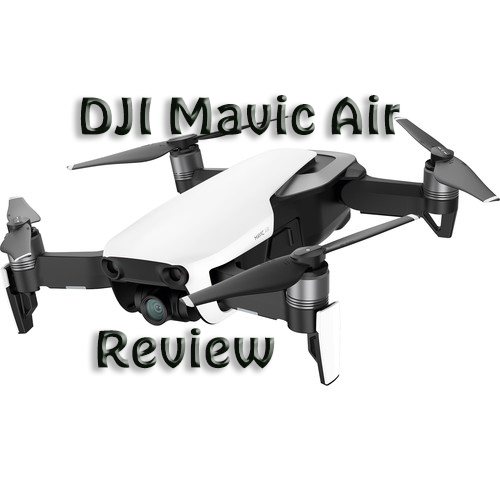 Recently, Jim picked up the new DJI Mavic Air and he and Fred have been checking it out and are now ready to give their opinion on this new offering from DJI. Is this the perfect travel drone? It folds into a nice compact size and has a number of new filming modes as well as 12MP still captures and even a 32MP panorama mode. Jim and Fred demonstrate some of the capture cinematic modes and offer their opinioins on the pros and cons of this new drone. Our friend, Maurice Ribble, is currently running a Kickstarter project to raise funds to update the Camera Axe which we have featured in the past for water drop photography and even capturing a pellet gun shooting water balloons and crackers. Please go to Kickstarter and consider back this project! Early registration is now open for the Black Hills Photo Shootout in Rapid City, SD - go to www.thephotoshootout.com to register! Coming up on the podcast in 2 weeks - why a pro photographer dropped Nikon for Sony!